A project for school. Tasked with designing a robot character and creating a 3D model from the design drawings. 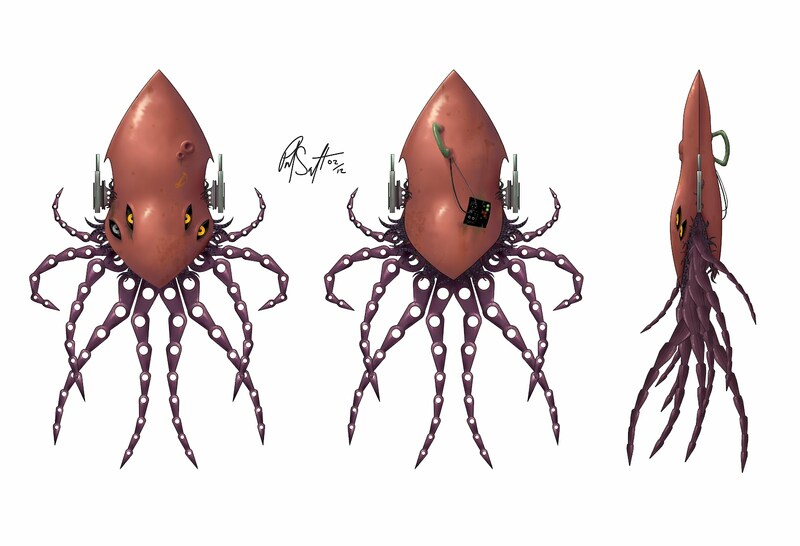 So this first image is the squid robot that I designed. 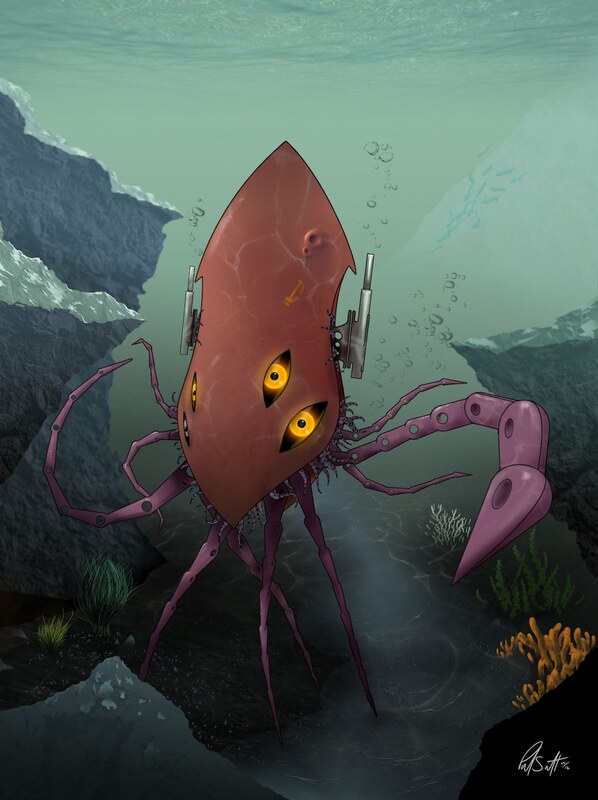 I drew it in a dark underwater ocean setting. I really like how this turned out, one of the best things I've drawn. Also my nickname at work is Squid. This is available in my store as a print, Mobile phone skin/case and more! Rotation drawings of my robot. 3D model Rotation, didn't have enough time to get it quite the way I wanted. Came up with the whole squid idea by drawing large black blotches. 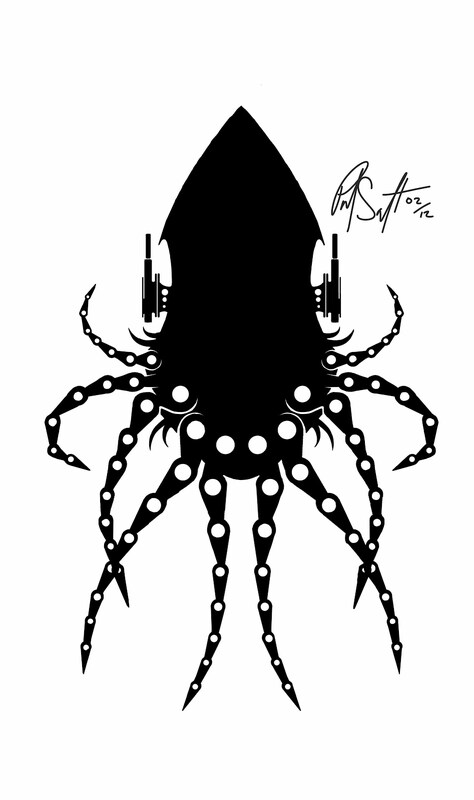 I refined that and came up with this silhouette to base my coloured design off of. This silhouette struck me as very interesting. I created a bust of Gekko Moriah, from One Piece, using the default human head in Mudbox. There are some close up stills after the jump.